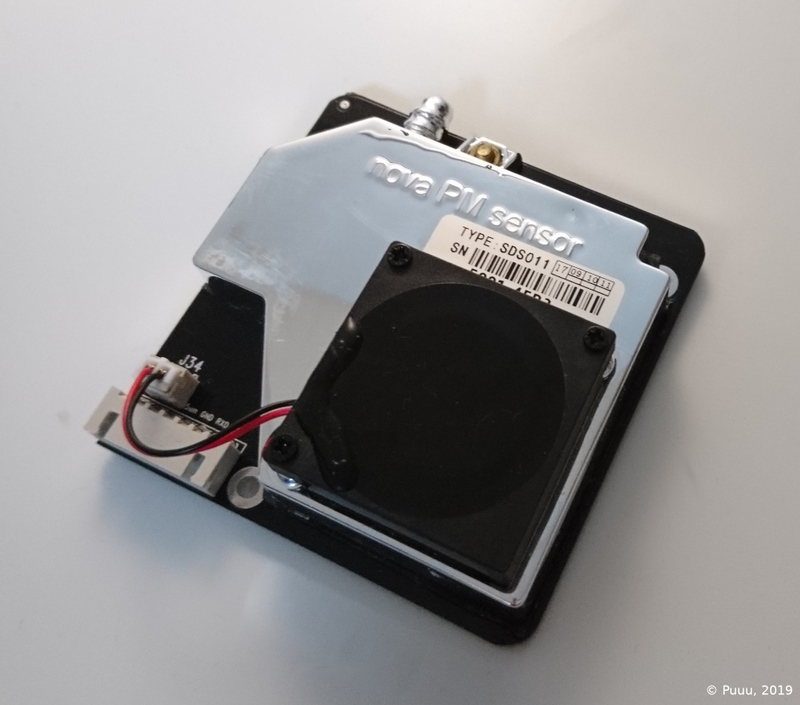 The sds011 sensor platform allows you to use SDS011 particulate matter sensors (datasheet) with ESPHome. As the communication with the SDS011 is done using UART, you need to have an UART bus in your configuration with the rx_pin connected to the TX pin of the SDS011 and optionally the tx_pin connected to the RX Pin of the SDS011 (it’s switched because the TX/RX labels are from the perspective of the individual device). Additionally, you need to set the baud rate to 9600. With update_interval, the working period of the SDS011 device will be changed. If update_interval is equal to 0min, the SDS011 will be set to continuous measurement and will report new measurement values approximately every second. If update_interval is between 1-30 minutes, the SDS011 periodically turns on for 30s before each measurement. For the remaining time the sensor is shut off. As a result, this mode can reduce power consumption and increases the lifetime of the SDS011. update_interval (Optional, Time): The interval to check the sensor in minutes. This affects the working period of the SDS011 sensor. Defaults to 0min. rx_only (Optional, boolean): Whether the sensor is connected only by RX pin to the UART bus. Since the SDS011 can not be configured in RX-only mode, update_interval has no effect and the sensor must be configured separately. Defaults to false. The configuration variable update_interval reconfigure the SDS011 device. This setting is still effective after power off. This can affect the performance of other libraries. Factory default is continuous measurement.